Rabcat Love to see you win! In fact, it’s the studio’s motto! Yet it seems that Rabcat also loves to transport its players into whimsical environments since their games are extremely well designed and allow players to let their imagination run wild! And if you choose to play Gnome Wood Video Slot it not just your imagination that will run wild! Indeed, this game offers not only big multipliers but also Wild symbols that move from one reel to another as they land on the game grid. Additionally, it’s worth knowing that this game also gives players the chance to activate a Free Spins bonus game. But to know more about it, make sure to read our full review below. Set in an enchanted prairie, this Video Slot has four main bonus features that will create magic on the reels and definitely help you win big! So let’s look at them into closer details. The Wandering Wild is a feature that many players adore. Indeed, know that every time a Wild symbol lands on the game grid, it will move from right to left and trigger a Re-Spin until the symbol leaves the play area. Which means that every time the symbol moves, you have a second chance, third, fourth and even fifth chance at winning big. What’s more is that in this game, randomly the Wandering Wilds will also multiply your winnings. In fact, if you see a Wild symbol with a 2x on it, you’ll win twice more! And if you’re so lucky to have 2 Wandering Wilds multipliers on the reels that complete a winning combo, you’ll win four times more! As for many games, in Gnome Wood Video Slot your key to trigger the Free Spins bonus is to get 3 Gold Sun Free Spins symbols to land on the grid. However, it’s worth knowing that despite the number of symbols you got to trigger the feature you’ll always play 10 Free Spins. But, know that you can re-trigger the Free Spins bonus an infinite amount of time within the feature. So it’s always good to know! Without a doubt, Rabcat is the favourite game studio of many British players. And with their release of Gnome Wood Video Slot, the studio proves that each game they create is magical. 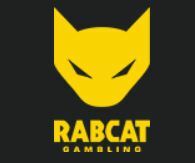 Rabcat slots are available through Microgaming’s platform, and many online casinos offer them. So why not try them out today? Gnome Wood Video Slot will appeal to all levels of players, and its features are real crowd pleasers too! Have fun!